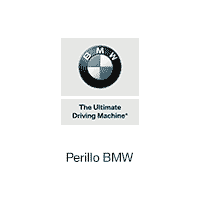 20 years with Perilo BMW. Israel enjoys playing golf, watching sports, and is escpecially proud to have helped achieve our Center of Excellence Award. 14 years with Perillo BMW. AJ likes sports such as basketball and football and loves spending time with his family. 10 years with Perillo BMW. When Brad isn’t at work, he is probably on the golf course. Danette watches footbal, fishes, cooks, reads, decorates, walks her dog, buys jewelry and many other activities, but we ran out of room for her to keep writing! Albin is new to our tean, and we are lucky to have him. Originally from Poland, Hugh has over 6 years of experience with BMW! He’s fluent in both Polish and English and enjoys his family, the outdoors and helping others. Chris enjoys staying fit by competing in marathons and triathlons. When she is not in her office, she enjoys swimming, pilates, hiking, playing chess, watching the stock market, reading, and cooking!